This event is today one of the largest gatherings of sailors all disciplines : big boats of the offshore race, the mythical Dragon, Paddle, kayak, Diam 24. Be careful! No picnic during the visit, the dogs are not allowed on the island, please avoid walking stick! Also guided walks (2 hours) on the 30th of April and the 1st, 2nd, 14th, 18th, 19th, 29th of May. Iroise sea and South Brittany present a whole range of shores, islands and narrow passages that create different conditions of navigation. The TOUR DE FRANCE will cross the Finistère! this first finisterian stage (the 12th they will be in North Finistère) will be composed of slopes and descents, good for escapes or punchers. It will be the first stage of the Tour that presents real difficulties. The racing cyclists will climb the Montagnes Noires (Black Mountains), first massif on their course. Relatively narrow, the Montagnes Noires and the following summits (Cast, Locronan), will be maybe the opportunity for the cyclists to test themselves on slopes sometimes steep. Approaching the end of the stage, they will go through Locronan. The end will be judged in the heights of Quimper, in Penvillers. 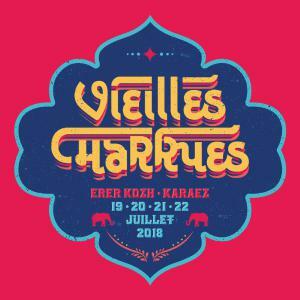 Go from 25th to 29th of July 2018 at the Port of Rosmeur for a festival unique and inimitable! In Mahalon, an exhibition of over 350 varieties of hydrangea. You will find gardening advice, exhibition of decorated cucurbits, exhibition and sell of nursery growers, initiation workshops (cutting, grafting, layering..). It's the most important regional exhibition. Concerts, all sorts of activities, competitions to see who are the best bagadoù (bagpipe players), bell ringers or dancers... And the Grand Parade on Sunday which brings everyone together in traditional costume. That is what the Cornouaille Festival holds in store. For a week every summer, the historic heart of Quimper beats to the Celtic rhythm, to the great delight of its 250,000 visitors. 5 minutes from the campsite ! Breton wedding parade on floats, shows, Fest noz and firework displays. 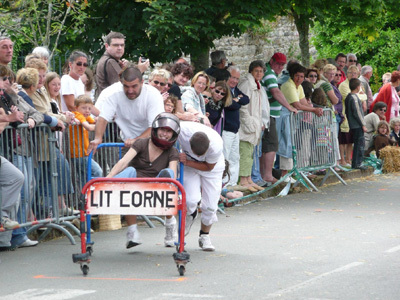 This typical Breton festival offers a real family atmosphere. For over half a century, the Embroidery Festival at Pont-l'Abbé, a four-day family festival, has been bringing the Bigouden and Breton traditions back to life, and adding a dash of foreign folklore into the mix. Over 30,000 spectators come each year to find out about the rich Breton culture, where music and dance have pride of place. Breton bagpipe bands and Celtic groups can be found in all the streets and on stage, all coming together in a huge finale in honour of the Queen of the Embroiders. The Festival du Bout du Monde (End of the world) is a mixture of music/music of the world which in addition to its programming, is reputed for the warm, family atmosphere which is present there, the beauty of the site and the quality of the welcome.